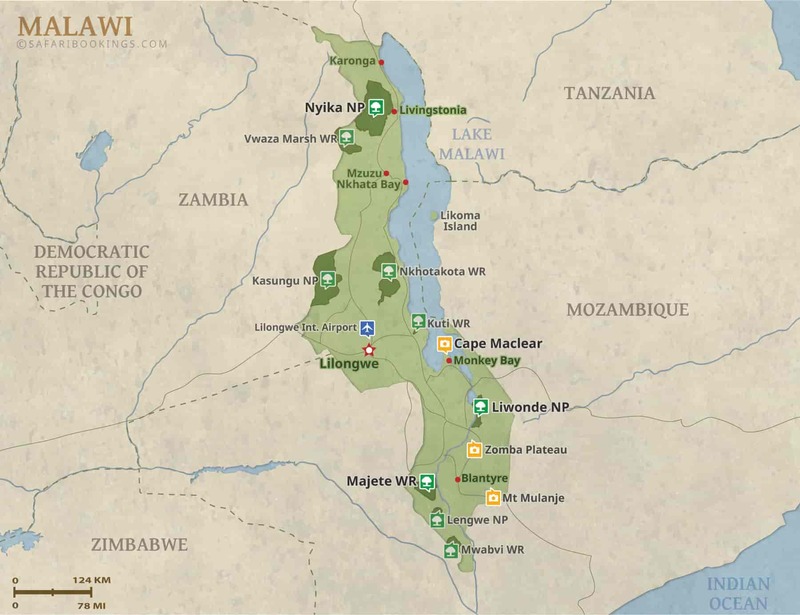 Malawi Travel Guide – Parks, Best Time, Reviews & More! 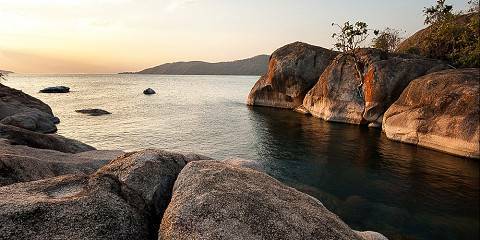 Malawi’s main tourist attraction is enormous Lake Malawi, with its beaches and water-based activities. 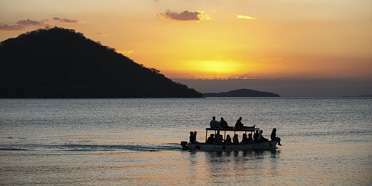 The country also offers a range of safari options in its network of vastly improved parks and reserves. Lovely Liwonde National Park has a winding river ideal for boat trips and seeing lots of elephants. 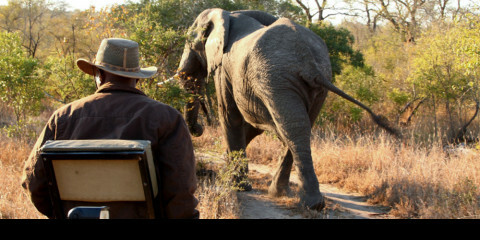 Majete Wildlife Reserve is Malawi’s only Big Five destination. The rolling green hills of Nyika National Park are ideal for walking, and it’s one of the country’s best places for spotting leopards. Although Malawi isn’t particularly known as a wildlife destination, the parks are well cared for and animal numbers are increasing. Plenty of water in Malawi means elephant and hippo are common in several parks. Big Cats are difficult to see, but there are plenty of antelopes including some of the rarer species such as sable and roan. Rhino has been reintroduced and Majete Game Reserve is now a Big Five destination. Malawi has a tropical climate with high temperatures and ample rain. Travel is easiest in the Dry season which runs from May until the end of October. Afternoon rain is common in the Wet season months and humidity tends to be high. Temperatures are quite uniform throughout the year but the Wet season months are a few degrees colder than the Dry season months. 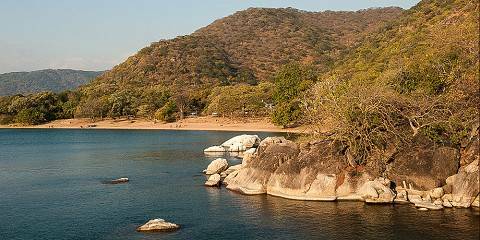 The Dry season months from May to August are very pleasant in Malawi as rain is scarce and the temperatures are mild. The middle to end of the Dry season, from July to October, is the best time for wildlife viewing as animals have to leave the bush to find available water. Bear in mind, though, that October can get unbearably hot. For those who don’t mind a bit of rain, the low-season months from November to May are fresh and green, and low-season rates apply.